This compilation (Hunter 2012) is an impressive collection of academic approaches to the anthropological study of anomalous experience. Of all the contributions the ones that stood out for me were: 'Anthropology, Evolution and Anomalous Experience' by James McClenon; 'Devising Methods for the Ethnographic Study of the Afterlife' by Fiona Bowie; and 'Paradigms and Methodologies for Anomalous Research' by Michael Winkelman. To have a collection of essays of this calibre in one volume makes this book a real gem. Previously those of us interested in the anthropological approach to the paranormal had to make do with occasional contributions in other publications (Devereux 2007 and Luke 2010). One word of warning however. It is a fine line to walk between a popularist approach and maintaining an academic style. Too much of either approach will alienate either of your potential markets. At times the overt academic language in some of these entries could dissuade the casual reader from exploring some truly interesting ideas. But this is a minor point. Devereux, P. (2007). "The Moveable Feast." In T. Pfeiffer, J.E. Mack & P. Devereux (eds.) (2007). Mind Before Matter: Visions of a New Science of Consciousness. Winchester: O Books. Hunter, J. (ed.) (2012). 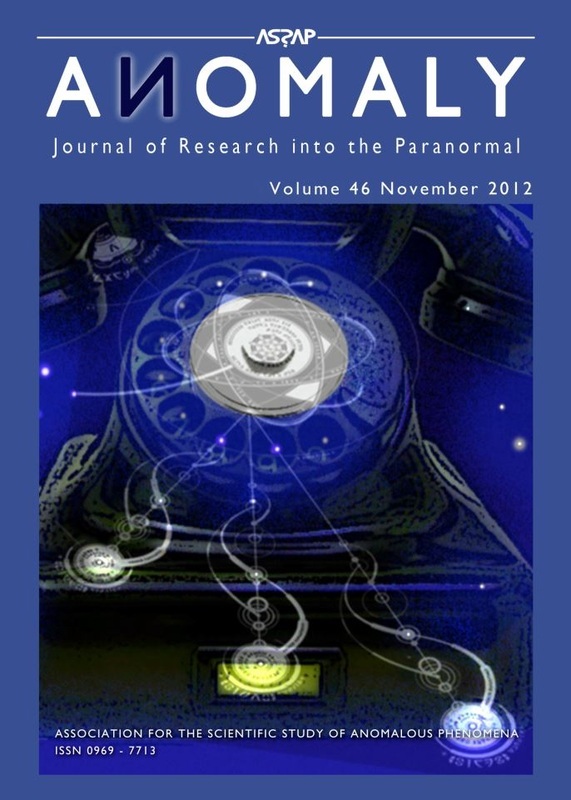 Paranthropology: Anthropological Approaches to the Paranormal. Bristol: Paranthropology. Luke, D. (2010). "Anthropology and Parapsychology: Still Hostile Sisters in Science?" Time & Mind: Journal of Archaeology, Consciousness & Culture, Vol. 3, No. 3, pp. 245-266.